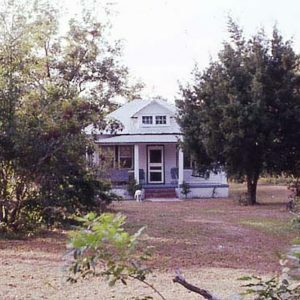 This house is an intact and significant example of a one-story hipped roof house, an early 20th century vernacular architectural form common to St. Helena Island. It was built c. 1915 by Tecumseh Alston, a carpenter, for his brother Emanuel. Emanuel “Mannie” Alston, born 1900, lived here until his death in 1985. He served for many years as an elder at Ebenezer Baptist Church and took a prominent part in the services there.